Ahhh, Friday at last and time to debut a fun little something we have been baking up over here at Juneberry Lane! I am so excited to announce that my sweet little sister, Meggie, has joined the team and will now be stopping by every week with all sorts of her yummy recipes and delightful food finds to share with you for every season! I couldn't be happier to have her on board and I just know you are going to be thrilled with all of the tasty fun she brings to the table! Take a look, enjoy, and then go and have yourself an amazing weekend!! With all of the fabulous summer party and shower ideas that my sister has shared with us it makes me want to bring out my hostess side. But, I didn't quite get the party planning genes that my sister has...instead I got a sweet tooth and an obsession with baking (and occasionally cooking) fantastic treats. So, it's only fitting that when I get married in May that my new last name will be Frost...like the frosting on a delicious ruffle cake! So, my sister gave me the idea to use my love for decadent sweets to share some recipes for your next event. But, with the heat wave that everyone has been experiencing lately, no one wants to turn on their HOT oven. 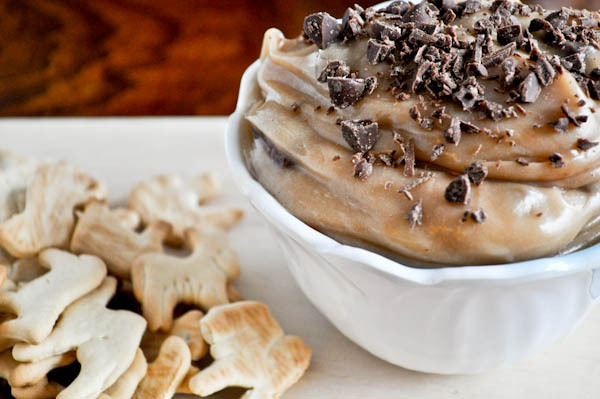 Why not ditch the preheating and baking and join the newest craze...DESSERT DIPS?! Melt butter in a small saucepan over medium heat. Add brown sugar and whisk until sugar dissolves and mixture starts to bubble. Set aside to cool and whisk in vanilla. Cream together cream cheese and powdered sugar for 60 seconds. With mixer on low speed, add in brown sugar and butter mixture. Mix until combined. I add the chocolate chips at this time so the mixer can break them up into peices. You can do that, or just fold in the chocolate chips. Garnish with additional chopped chocolate. Serve with fruit, cookies, crackers, pretzels, or just a spoon. In a small microwavable bowl, microwave chocolate chips and condensed milk on High for 1-2 minutes, stirring every 30 seconds, until the chocolate chips are melted. Mix well. Pour into 9-inch glass pie pan, spreading evenly. 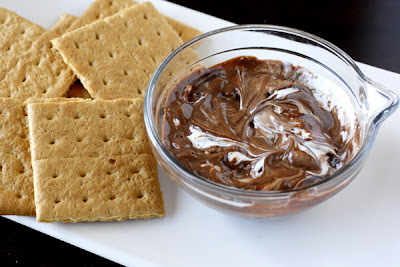 Drop marshmallow creme by tablespoonful randomly over chocolate mixture. Microwave on High for about 30 seconds or until marshmallow creme is softened. Immediately, make several swirls through the marshmallow and chocolate, creating a marbled appearance. Serve immediately with graham crackers for dipping. In a medium bowl, mix Greek yogurt, cake mix, and 2 Tablespoons of powdered sugar until well incorporated. If you prefer it to be sweeter add an additional Tablespoon of powdered sugar. 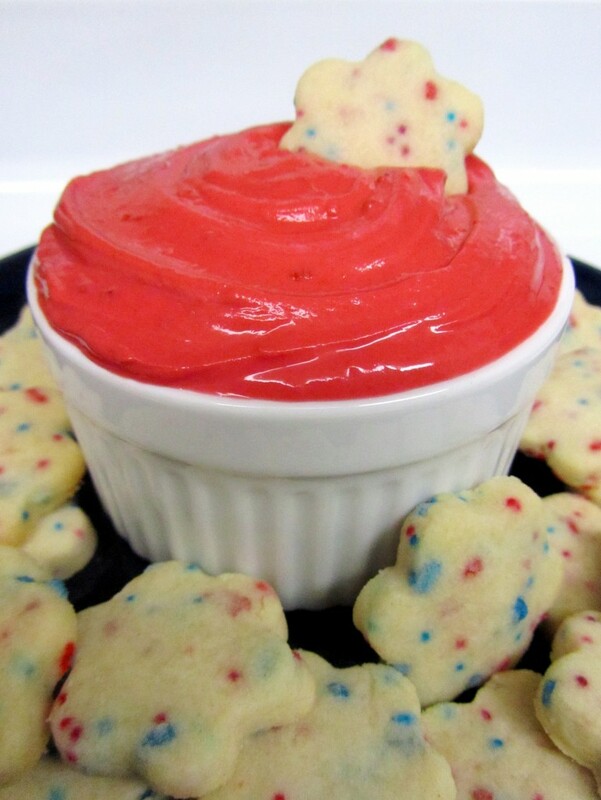 Place in a serving bowl and enjoy with shortbread or your favorite fruit. Place cream cheese in a mixing bowl and using an electric mixer, whip cream cheese until smooth and fluffy for about 1 minute. Stir in caramel ice cream topping. Serve with apple slices. 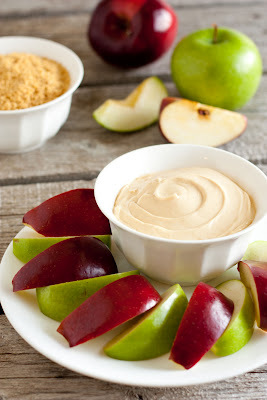 Dip apple slices into caramel cheesecake dip and then into broken graham cracker crust. This dip can also be garnished with a bit of cinnamon (1/4 teaspoon) or a few dashes of nutmeg. Note: This dip can be stored in the refrigerator for up to one week. Using a paddle attachment in your mixer, cream the butter and cream cheese. Add in the cookies and mix on High (so the cookies are good and crushed). Mix in powdered sugar, until fully incorporated. Add Hershey Kisses, and mix on High so they get broken up really well. Fold in the toasted coconut with a rubber spatula. Drizzle the top with melted semi-sweet chocolate. Serve with apples and graham crackers.